Der Artikel Donald Byrd (1932-2013): Royal Flush wurde in den Warenkorb gelegt. + Pepper Adams, Herbie Hancock u.a. 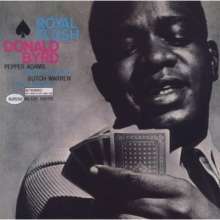 This album, recorded in September 1961, was the swan song for the most wonderful team of Donald Byrd and Pepper Adams, but it was also the introduction to the jazz world of a remarkable pianist / composer who has dominated the music scene ever since, Herbie Hancock. 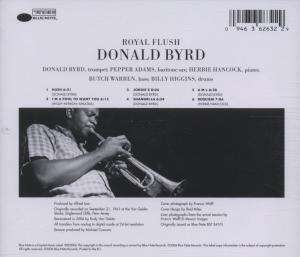 Byrd contributes two cutting-edge hard bop compositions and two inventive takes on the blues form. "Requiem" is Hancock's first recorded composition and Sinatra's "I'm a Fool to Want You" is a stunning ballad showcasing the trumpeter.